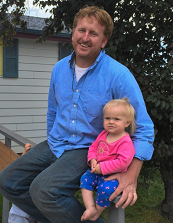 Mr. Gordon studied Psychology at the University of Colorado, Denver and studied Montessori at the Montessori Educational Center of the Rockies. He is a strong advocate of the Montessori Method and a fan of classical education generally with an emphasis on choice in the classroom, outdoor education, and increasing the use of executive function. He also likes orange juice and goats. Ms. Terry holds an AMS Montessori 0-3 certification from the Montessori Education Center of the Rockies in Boulder, and a Master’s of Montessori Education from St.Catherine University in St. Paul, MN. She is finishing her Montessori Administration credential in May. Terry's love for Montessori started when her four daughters attended primary class in a Montessori classroom. In her free time, Terry enjoys cooking, sewing, music and theater. Ms. Mara studied for her Early Childhood (3-6) Montessori credential in 2014, but her experience with Montessori education and administration began long before, in her childhood home. She has spent six years working in Montessori schools in Nebraska and Colorado and is a perpetual student of Montessori philosophy and methodology. She has two little boys at Little Lyceum, and enjoys reading, rock and ice climbing, and swing dancing. Ms. Erica is originally from a small town in Texas and has been living in Colorado for the past 10 years. She has 3 children of her own. She studied Montessori at Montessori education center of the Rockies in 2013. She has 8 years of experience of working with children and speaks Spanish.